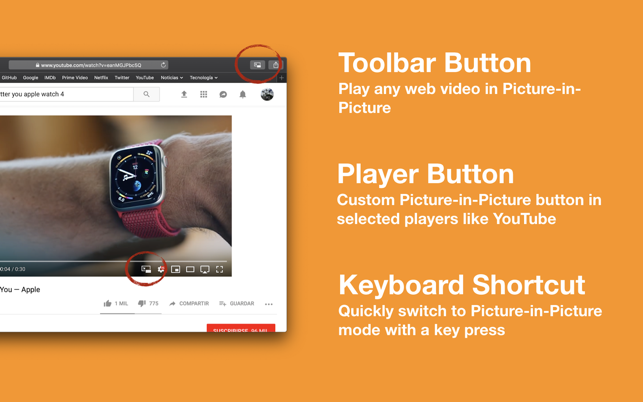 • Added keyboard shortcut to quickly switch to Picture-in-Picture mode in any playing video. 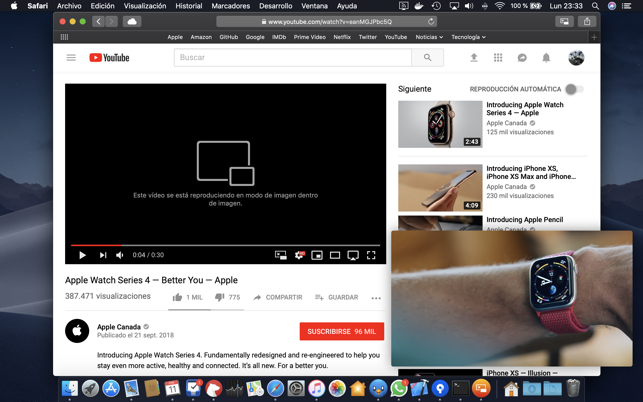 Simply press the P key while playing a video to switch to Picture-in-Picture mode. Its funny that this is supposed to be a feature in OS that I have never been able to use. this app is way worth the money. Thank you for doing what my computor provider didnt seem to be able to do! When enabling OverPicture, it states that the app will be able to access "sensitive information from webpages, including passwords, phone numbers, and credit cards on: all webpages.” It does not give me a choice to disable this property. I want to use this app but I need a way to disable this property before I allow it access to my passwords and credit cards. Hi! 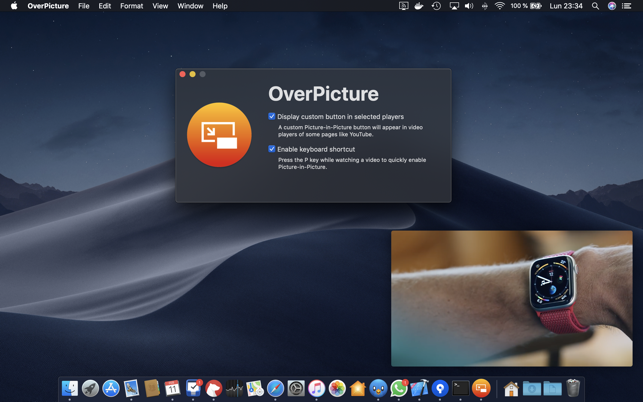 OverPicture extension must access all web content to detect video players and enable Picture-in-Picture. But as any App Extension it is sandboxed by default and it is configured so it cannot share data with the network or any other app. pay 99 cents for peace of mind. This worked immediately, no constant clicking on an app with no response like pipifier.